Tesco has been denied in its attempt to trademark the blue dashes in its logo, after the Intellectual Property Office (IPO) insisted the shape was too "simple". While it was recognised that the dashes might be associated with Tesco, the hearing officer, Edward Smith, maintained that they only represented punctuation, and were entirely dependent on the word "Tesco". 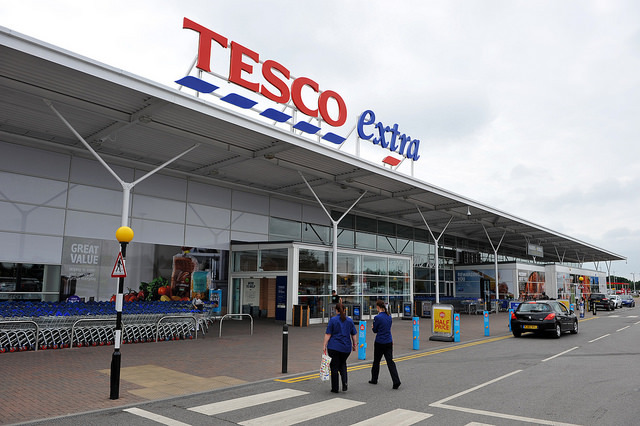 A survey conducted by Tesco was used in support of its application, which showed consumers associated the dashes with the retailer independently from the word ‘Tesco’. Katie Goulding, a trademark attorney at HGF, suggested that the case demonstrates how association with a brand is often not enough to obtain a trademark. She said: "In cases where a trademark lacks inherent distinctiveness, retailers will need to prove that the public have come to rely on the trade mark as indicating the origin of the goods because of the use made of it. The more simple the mark, the more difficult the task. "It does not matter how famous the retailer is, it is not enough that a mark simply brings the retailer to mind. The result is unfortunate for Tesco – there is no doubt that the public associates the logo with Tesco Stores, but that is not enough." Speaking to Marketing, a Tesco spokesperson said the retailer will continue to pursue the trademark, saying, "This is a preliminary stage of an ongoing process".